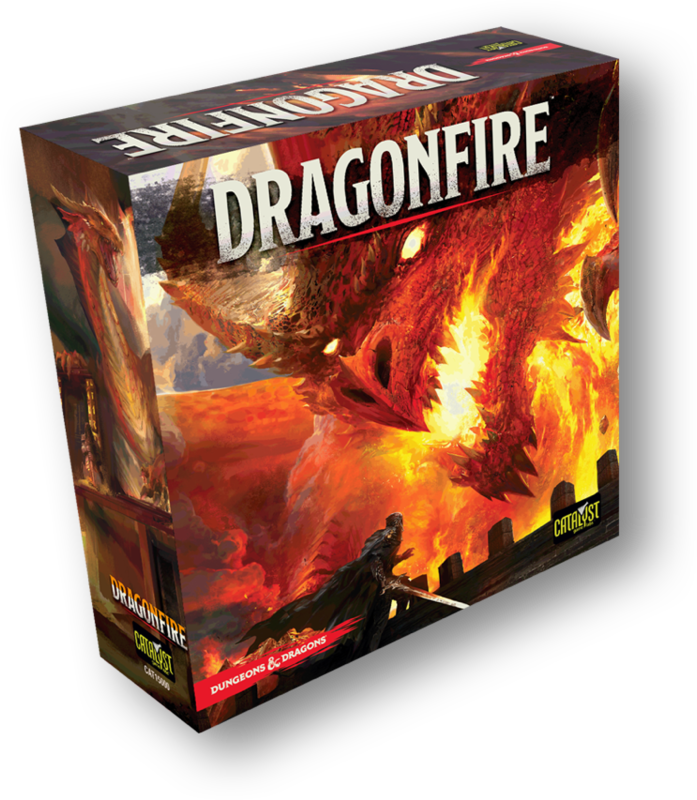 Dragonfire is a 2 to 6 player cooperative deckbuilding game set within the world�s greatest roleplaying game, DUNGEONS & DRAGONS. Players choose from a number of races, from dwarf to elf, half-orc to human, while assuming the quintessential roles of cleric, rogue, fighter, and wizard. Equipped with weapons, spells, and magic items, players begin their adventure along the famed Sword Coast, then expand to other locales across the Forgotten Realms, such as Baldur�s Gate, Neverwinter, and Waterdeep, in future expansions.